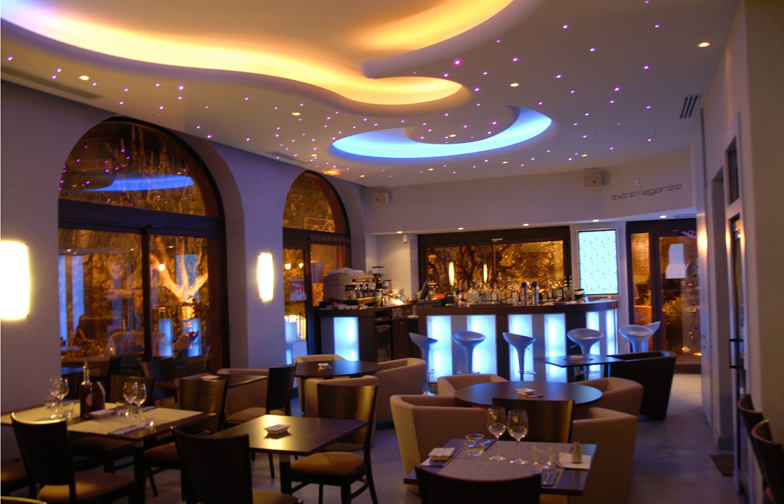 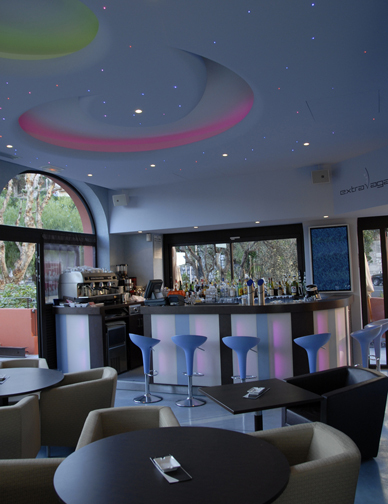 The rehabilitation of this former cafe in the centre of Villefranche into a modern and festive bar restaurant required renovation of the kitchen to bring it up to norms. 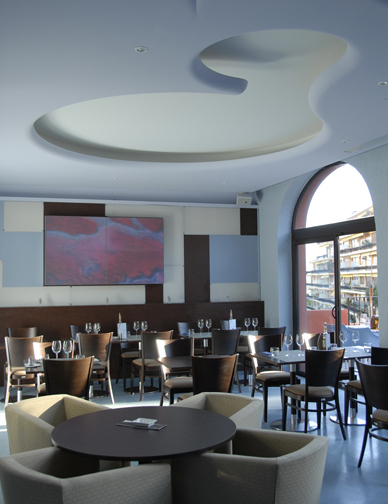 The dining room with its bar and the terrace with sea view can accommodate 80 people. 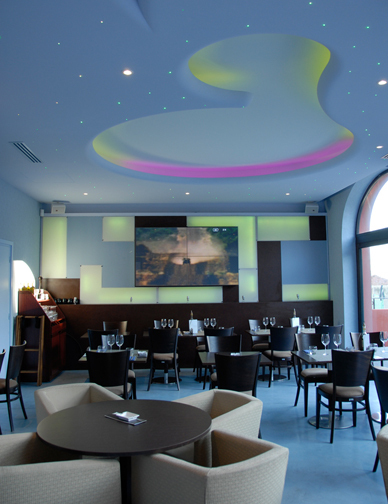 The floors, outside and inside, in blue polished concrete enlarges the spaces. 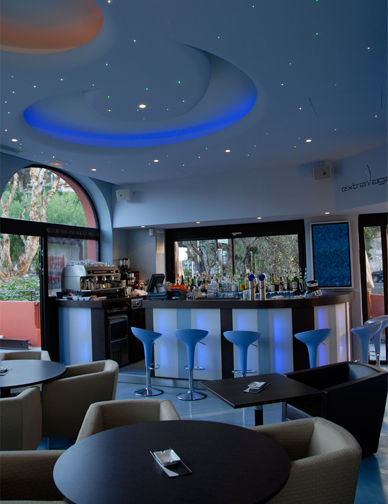 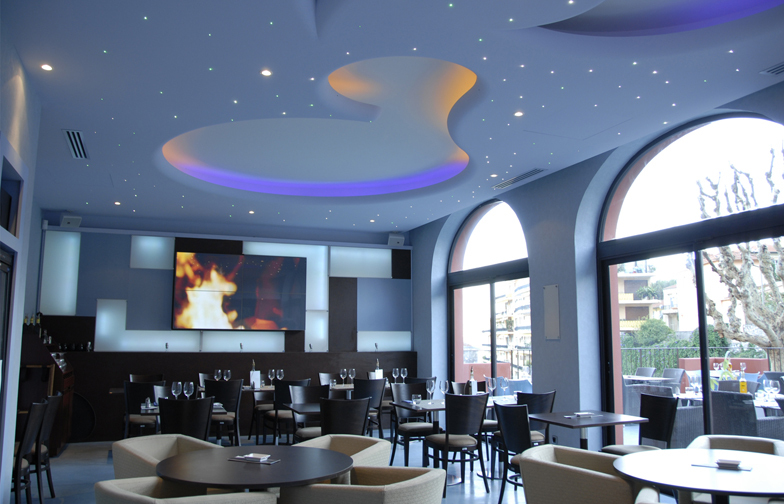 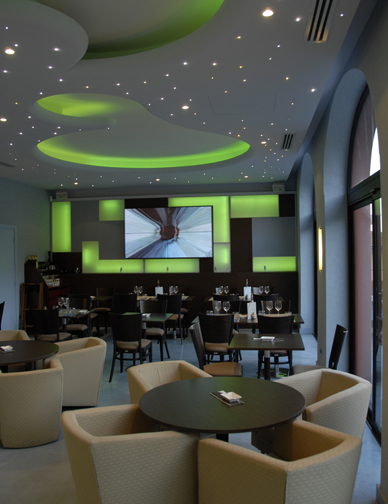 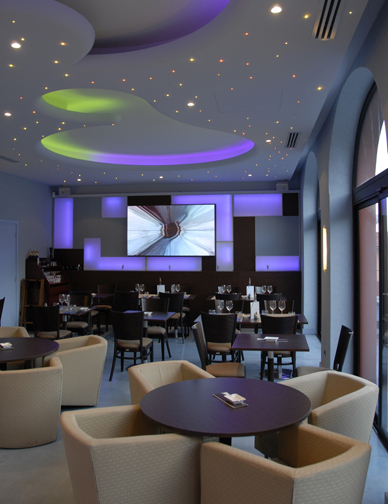 The organic forms of the ceiling combined with the bar and the walls are illuminated with changing colours to create different ambiances for day and night.